As marketers, one of our primary goals is to help brands ultimately win more market share. To do this, we have to effectively persuade target customers to buy, and when they buy, to buy from us. 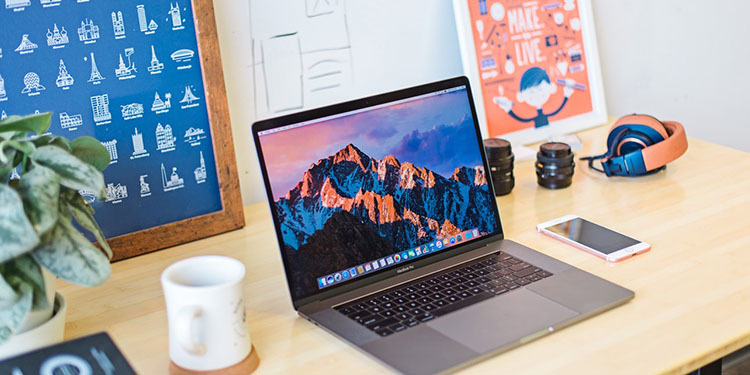 In order to persuade customers effectively, you must first understand their personal connection to the brand — in other words, the “why” behind the buy. When we understand unique personal motivators to purchase, we can begin to speak in a personalized, relevant manner to like-minded groups of customers. It is common for marketers to use lots of data to help determine the best way to communicate with the target customer. 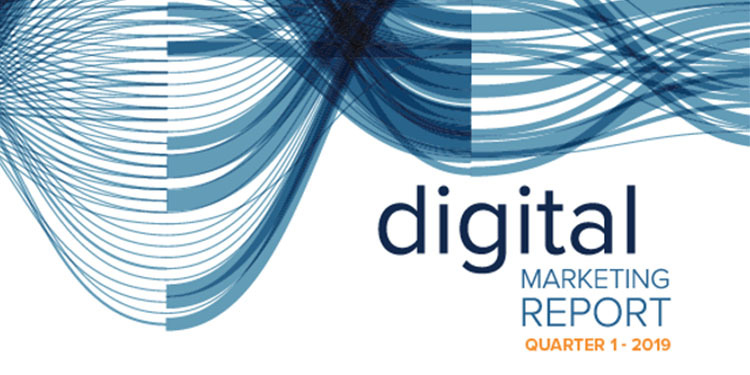 Behavioral and demographic data is used to understand who is responding to marketing efforts. We conduct market research studies to understand what product needs and brand attitudes exist in the market place. But, what often is missing from our marketing toolbox is understanding how to connect this data into one unified story. 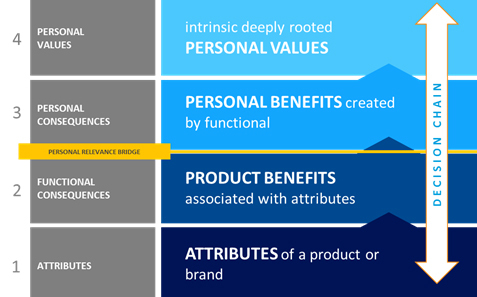 It is critical to understand why product benefits are important to customers on a personal level in order to get to the full picture. The image below illustrates a marketer’s need to understand the personal motivations driving the decision to purchase. Traditional market research tends to be fragmented in the sense that one study will focus on consumer psychographics (understanding consumer emotions or values) and another on brand performance or unmet needs. This approach rarely ever draws out the personal relevance connection needed to understand what motivates consumers to make a decision to purchase. As a result, personal relevance begins to be assumed, which can result in poor strategy, ineffective communication, and misguided marketing spend. To drive the concept home, take a look at the image above. 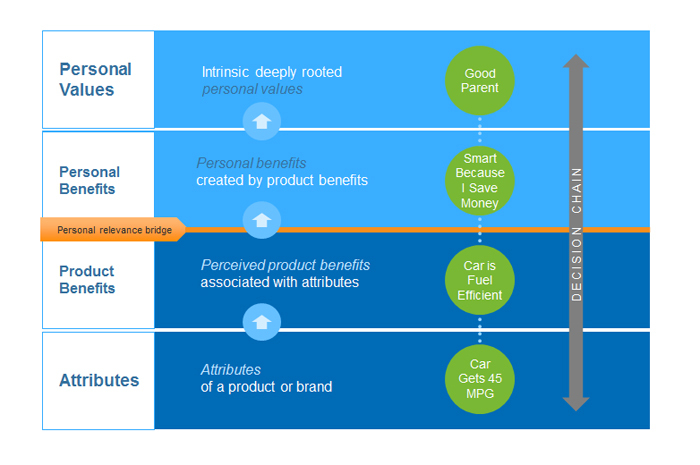 Here we see a desired car brand attribute is “getting 45 MPG” and we know this target values “being a good parent.” However, the research fails to outline how the brand benefits and personal values are connected. 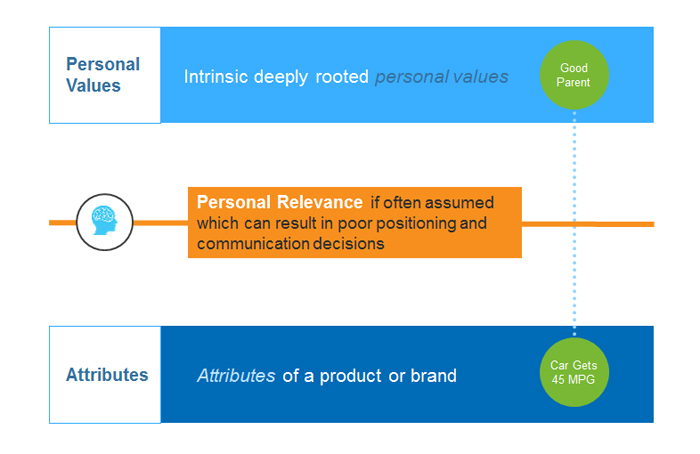 Unfortunately, marketers may begin to make assumptions in regards to the personal relevance (brand benefits that enable personal benefits). The next question is how do we solve for the personal relevance gap? 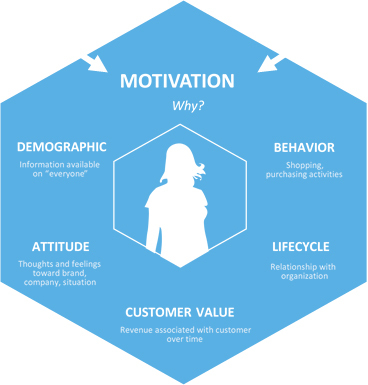 To effectively influence customers we need to first understand motivations to purchase. “The Forrester Wave™: Customer Insights Services Providers, Q4 2015” recently cited, “Merkle’s application of behavioral psychology principles through a practice called laddering makes its business strategy offering one of the best”. At Merkle we use a consumer decision map as a framework in which we organize the way individuals make purchase decisions. So back to the car example — when we draw out the personal relevance between the brand and the customer we can see below that customers care about “a car getting 45 MPG” because it is “fuel efficient” which enables them to “feel smart that they are saving money” which fulfills their need to be a “good provider/parent.” The story becomes much richer when we draw out the pathway to purchase in a decision chains. When we understand what is motivating the purchase, the deep understanding of the customer story enables us to speak in a personalized, relevant manner to the market. Ethan Hanson of Merkle recently published an article in the Huffington Post that brought to life this concept. 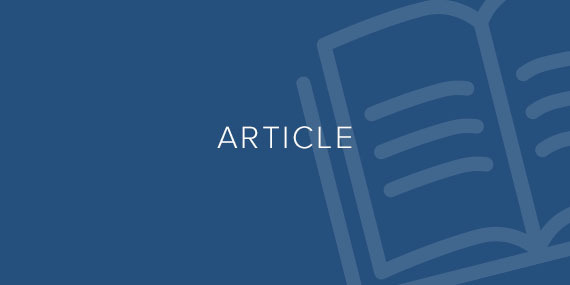 Hanson notes a recent quantitative study for a Fortune 500 company that found success occurs in connecting the brand’s product benefits to the consumer’s most important personal values. 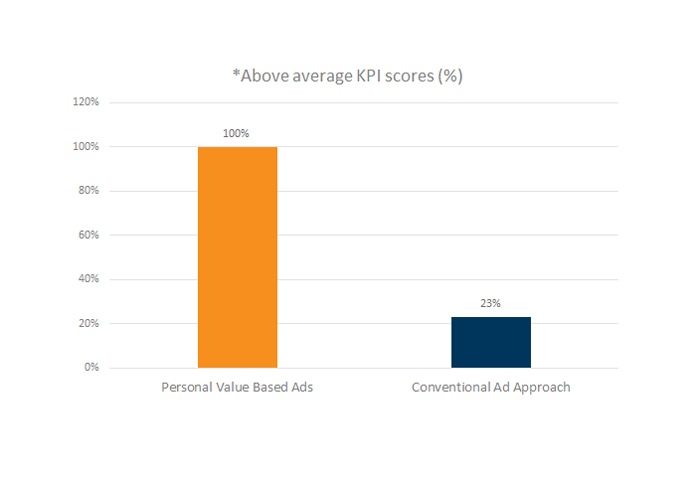 When the ad connected relevant personal and product needs, we saw ad effectiveness increase by 77% compared to the ads currently running in the market (without motivational-based insight). Each of the KPIs tracked were impacted positively when the connection was made for the consumer. Ads that better reflected motivational research resulted in stronger feelings of brand affinity and likelihood to buy. Once you have a deep understanding of customer motivations, you will be able to more effectively persuade customers and ultimately make traction toward your end goal — stealing market share. Let the battle begin. To download a complimentary copy of the Forrester Wave Report, visit our page with additional information.